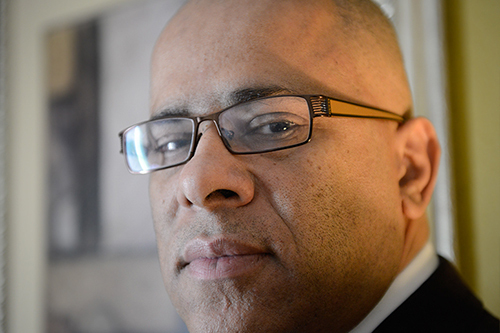 Tio Hardiman is challenging Governor Quinn in the Democratic Primary. 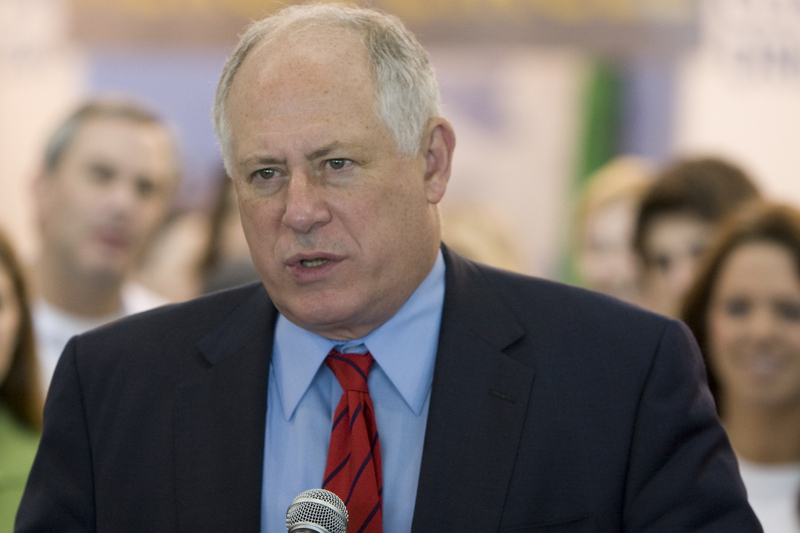 Incumbent Pat Quinn advocates for firmer restrictions on concealed carry. 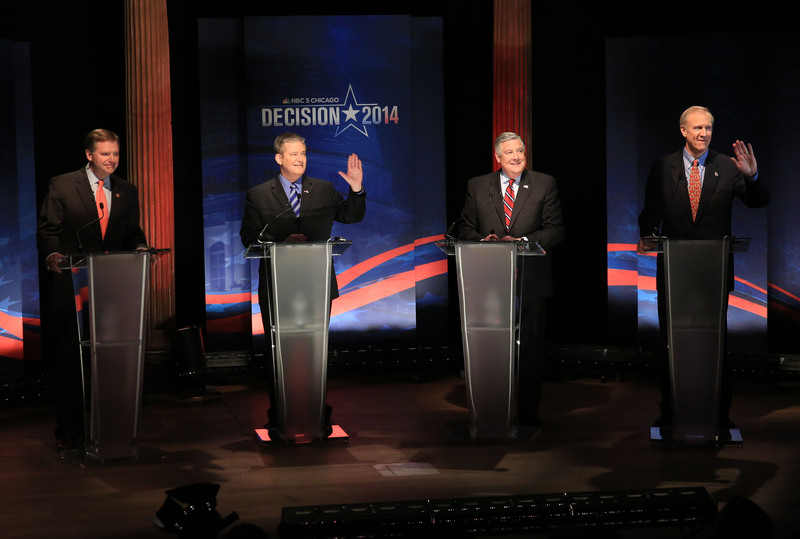 The GOP candidates, from left to right, state Sen. Bill Brady, state Treasurer Dan Rutherford, state Sen. Kirk Dillard, and businessman Bruce Rauner prepare to debate. Editor’s note: This episode of the Curious City podcast includes a story about what the candidates for Illinois governor think about the state’s new concealed-carry law. It starts 6 minutes, 30 seconds into the program. (Subscribe via iTunes or Feedburner!) This topic was also discussed on WBEZ&apos;s The Afternoon Shift. Cheryl Brumbaugh-Cayford of Elgin, Ill., had a perception about guns and violence that made her curious about the crop of primary candidates vying to be the state’s governor. Her suspicion? The more that people carry guns in public, the higher the likelihood of gun violence. There’s a lot to unpack here, including some basic information about the state’s concealed carry law. First, Illinois was the last state in the country to adopt concealed carry and, even then, the lawmakers didn’t act on their own; they were forced to pass a bill — any bill — by a federal judge who had ruled it’s unconstitutional to not allow people to carry concealed guns in public. The legislature approved such a bill in May 2013. The timing’s not lost on Cheryl, who tells us she once appreciated that Illinois had not allowed concealed carry, and she feels the policy was foisted on the state. Cheryl’s onto something here. The first few thousand applicants have just begun receiving their concealed carry permits from the Illinois State Police. That means that — between the primary and November’s general election — state residents will have a better idea of what living in a state with concealed carry really feels like. And there may be pressure, one way or another, to rework the policy. So how would the candidates respond? To the best of our ability, we let the candidates themselves speak to this. But since several of them cite studies about the relationship between violence, crime and concealed carry policy, we also compared their statements to what’s being said about concealed carry by academics. While answering Cheryl&apos;s question, we found the bottom line is that the lack of consensus among the candidates is pretty much reflected by a lack of consensus in the research. So what effect do concealed carry laws have on violence? It’s important to tease out because politicians often cite research to back their positions. And — as you’ll read and hear below — the academic findings run the gamut..
John Lott has studied the effects of concealed carry laws on crime rates. He wrote a book called More Guns, Less Crime, which pretty much sums up where he stands. “The fact that a would-be victim might be able to defend themselves also deters crime,” Lott said in a phone interview with WBEZ. Lott’s research of municipal crime data from across the country suggests crime drops after concealed carry laws take effect, and the more concealed carry permits that are issued, the more it drops. That’s particularly true for Illinois, Lott said, because strict requirements on obtaining a concealed carry permit may limit the number of people who get them. But here’s where things get a little complex, if not outright confusing. John Donohue, a professor at Stanford, has also studied the effects of concealed carry laws on crime rates, and his research suggests the exact opposite of what Lott found. “If I had to bet my house, I’d say more likely that they have adverse impacts than that they have a beneficial impact,” Donohue said, adding the caveat that the current available research models aren’t perfect. Still, Donohue said he’s doing preliminary work with a new research model that suggests right-to-carry laws lead to more aggravated assaults. And then there’s a third position held by other researchers about what happens to crime rates in right-to-carry states, as expressed by Prof. Gary Kleck from Florida State University. The reason there are so many contradictory opinions is that none of these folks can agree on what data they should be looking at or how they should be looking at it. Kleck said this gets into differences over the minutiae of crime research models. All this is to show that concealed carry is a complicated, controversial issue. But we wanted to illustrate that even among the experts — the folks whom politicians are citing — there’s not a consensus. We posed Cheryl’s question to all six major party campaigns, but we had to track down responses in very different ways. In three cases we were able to ask candidates directly, either at press conferences or via phone calls. For the others, we had to search for answers through other avenues. In some cases, we extrapolated a position based on the candidate’s previous statements on concealed carry, crime, violence and guns. He is the only candidate who acknowledged the conflicting research that we encountered. We didn’t get a direct response from Bruce Rauner, but he addressed themes in Cheryl’s question during a debate. In previous statements, including this one from a debate in northwest suburban Hoffman Estates, he’s said he wants the Illinois State Police to oversee gun licenses efficiently. The governor didn’t seem to like any part of the process of negotiating the concealed carry bill last year, and he vetoed parts of it in the name of safety. Those changes were overridden by the General Assembly. Tony Arnold covers Illinois politics for WBEZ. Follow him @tonyjarnold. Alex Keefe is a political reporter at WBEZ. You can follow him on Twitter and Google+. This report received additional support through Front & Center, an occasional WBEZ series funded by The Joyce Foundation.